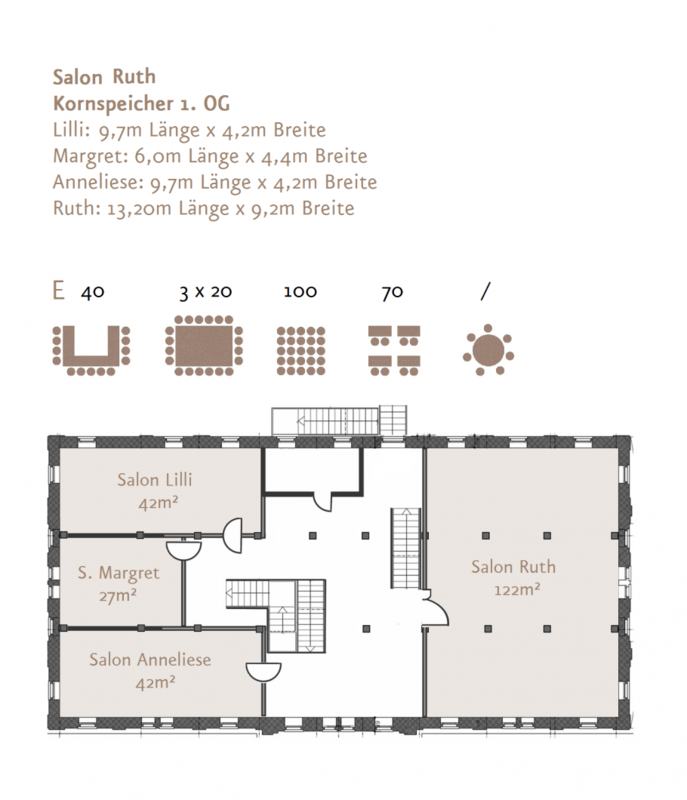 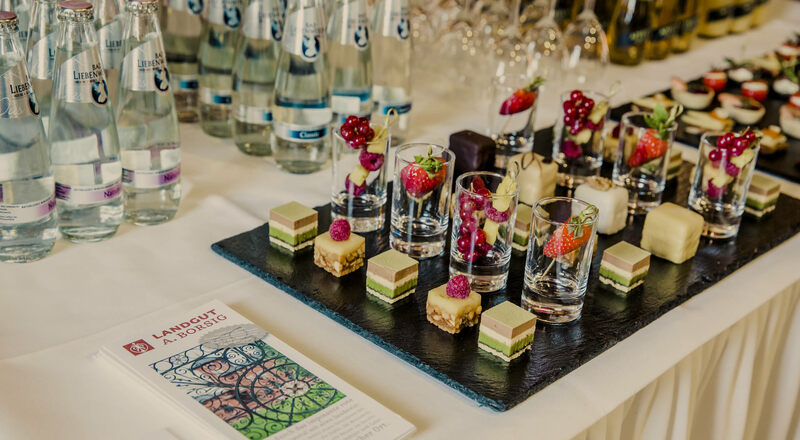 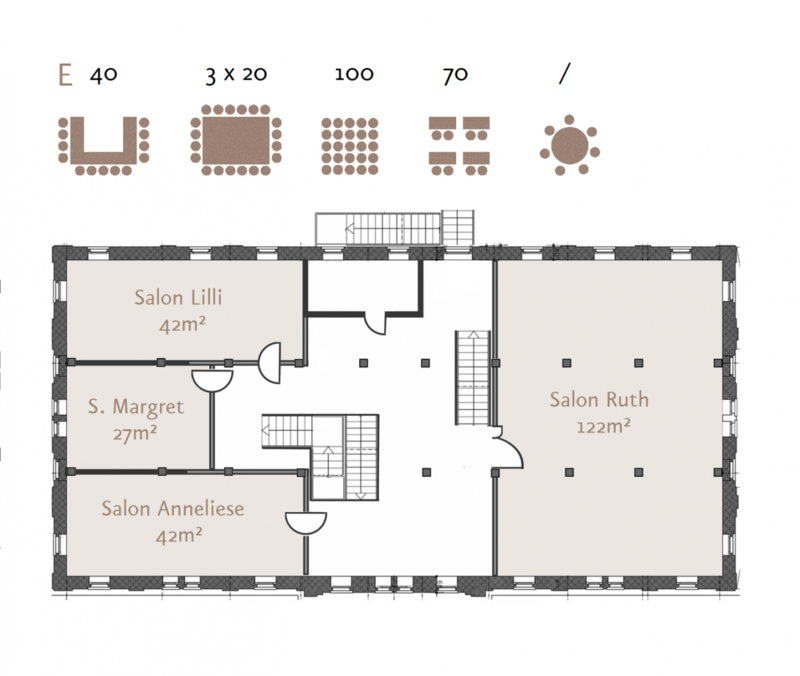 Salon Ruth, located on the 2nd floor of the granary is perfect for conferences, seminars, or team buildings, in particular when you consider booking the adjacent Salons Annelise, Lilli, and Margret, which are only separated by a Foyer. 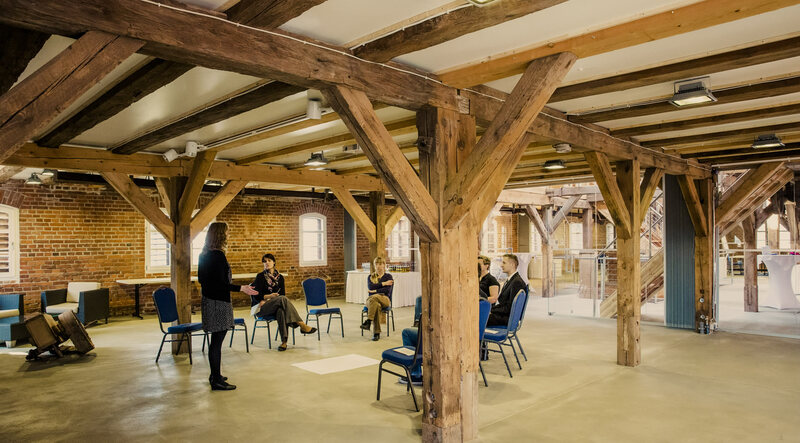 A waxed and polished industrial concrete floor and an open wood and glass construction with historical machinery give the room an inspiring atmosphere. 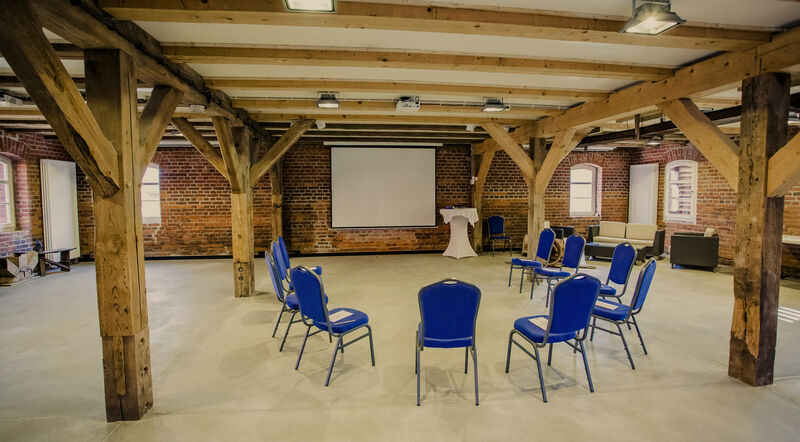 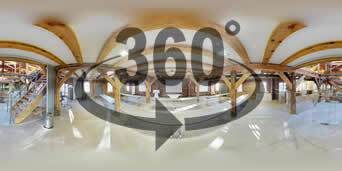 Due to the wood support beams, three separate projectors with USB ports, along with three screens, were installed.